Averaging three times the production and more advanced industry education than the other associates, RE/MAX Associates are truly "the real estate leaders in quality customer service". Customer satisfaction is reflected in their high industry-leading rate of repeat referral business. RE/MAX professionals lead the industry in terms of experience, education and sales. In Western Canada they average about 13 years of experience, and across the network hold a higher number of professional designations than associates of any single competitor. 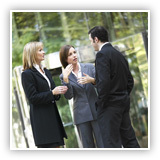 Repeat and referral clients are the lifeblood of the real estate business. Approximately 70% of RE/MAX business comes from repeat and referral clients, testimonial to the high caliber of service RE/MAX customers have come to expect from their Sales Associates. A recent survey completed by RE/MAX found that 95% of RE/MAX customers report overall satisfaction with their RE/MAX Sales Associate, 92% say they will use RE/MAX again and 93% will recommend RE/MAX to others. By far the highest ratings in the real estate business. RE/MAX is a front-runner in terms of giving back to the community, often devoting endless support and dollars to countless charities and local causes. The RE/MAX sponsorship of the Children's Miracle Network is a great example of RE/MAX community citizenship. Since 1992, RE/MAX has been a major contributor to CMN - a North American fundraising organization dedicated to improving the care of children in more than 170 hospitals. RE/MAX across Canada raises over $1 million annually on behalf of 11 Canadian children's hospital foundations. In large part, our community minded top producers providing industry leadership, experience and excellent customer service under a respected company banner add up to leading market share. RE/MAX dominates virtually every market in Canada, in terms of market share. 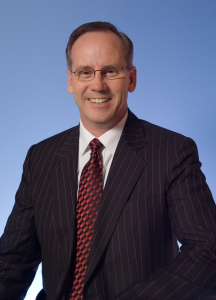 RE/MAX outsells the competition by 3 to 1 across Canada. RE/MAX on average is growing at an even faster pace supported by close to 28 years of brand name development, referral services, promotional support and other benefits that today are an integral part of the RE/MAX network of over 80,000 Sales Associates in about 4,500 offices in 43 countries worldwide. 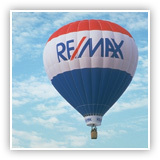 RE/MAX has the network to provide the best real estate experience throughout the world.